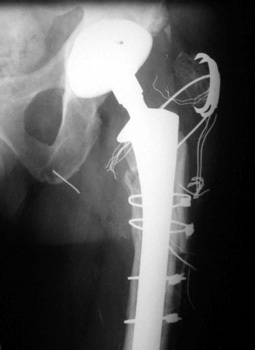 Non union of greater trochanteric osteotomy with broken and frayed cerclage cable. 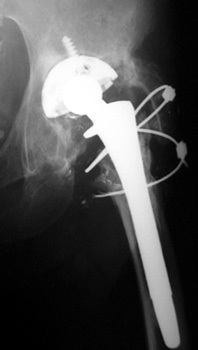 Non union of greater trochanteric osteotomy with broken and frayed cerclage cable. Note broken piece of cerclage cable has migrated toward ischial tuberosity.